Lost confidence in accuracy of your financial reports? Tired of making key business decisions in the dark? Desperate to increase your billable time and spend less on admin, without compromising the quality of information you need to manage your firm? Losing sleep because systems aren’t in place to prevent fraud and catch errors? Tired of the headaches that come with attracting, retaining and managing a bookkeeper controller and/or CFO? From our U.S. offices, Driven Insights serves as your ongoing virtual, outsourced bookkeeper — and controller/CFO if desired — so all of the challenges become distant memories. Only need a part-time bookkeeper? Our bookkeeping package is a giant leap forward for most businesses…at a comparable price. Plus the expert guidance to make sure it all works for you. 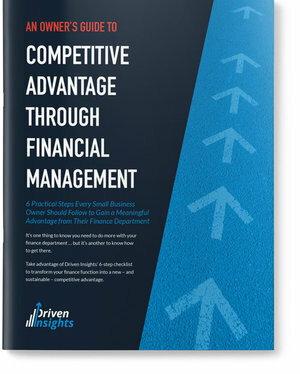 Driven Insights takes a non-traditional approach to your growing business.